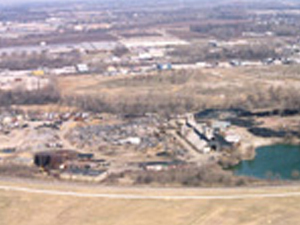 Situated between three closed municipal solid waste landfills with significant environmental problems of their own, the approximately 40-acre Stickney West site was the former location of a bankrupt fertilizer manufacturer. The immediately surrounding area received a boost in 1999 when DaimlerChrysler announced its plans for a $1.2 billion expansion of its existing Jeep plant about a mile from the Stickney West site. Hemisphere realized that the property’s value would increase tremendously if the environmental issues were addressed successfully. Today, the site is a fully licensed construction and demolition debris (“C&DD”) landfill. 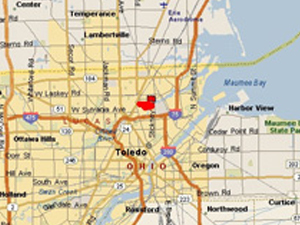 Subsequent to the fertilizer manufacturing operations, the property was acquired and operated as an unlicensed junkyard that the city of Toledo had been trying to close for nearly 10 years. The Stickney West site was one of the city’s greatest environmental threats and most notorious brownfield properties. Environmental issues at the site included 75,000 cubic yards of contaminated soil, potential impact from the adjacent Superfund landfill sites, 400 barrels of unidentified hazardous materials, 250,000 scrap tires, numerous above-ground and underground storage tanks, a manufacturing building constructed entirely of transite asbestos, mountains of scrap vehicles and illegally filled wetland areas. 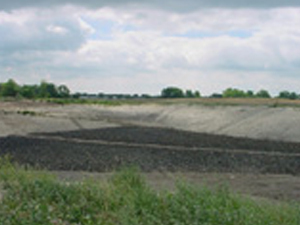 The remediation consisted of clearing surface debris and environmentally impacted soil into the adjacent city landfill. Hemisphere secured a “No Further Action Letter” pursuant to the Ohio Voluntary Action Program for the entire site, definitively addressing historical environmental impacts. 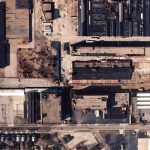 In addition, Hemisphere sold the city $1.2 million of clean soil from Stickney West to cap its landfill very early in the redevelopment, thereby creating the first cell of its landfill and paying for a large share of the remediation. 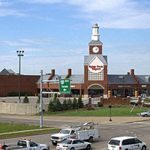 The project has been recognized by U.S. EPA Region 5 representatives, based upon the degree of environmental cleanup, as one of the best brownfield redevelopments in the United States.